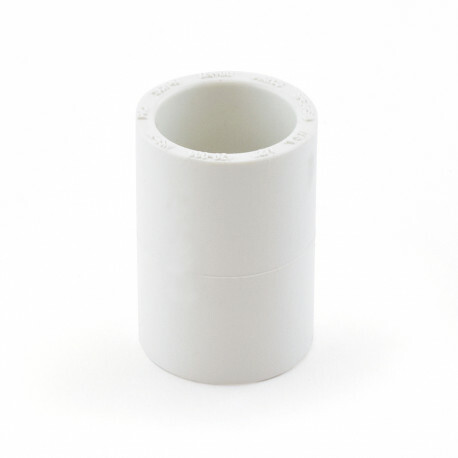 This schedule 40 coupling fitting is used to connect two 1/2" PVC pipes together in a straight line. Socket (hub) connections on both outlets. See Literature for detailed temperature ratings.